Tokyo, Japan, August 14th, 2018 – Ethiopian Airlines is only the second airline, besides Egyptair, to operate services to the African Continent from Japan. 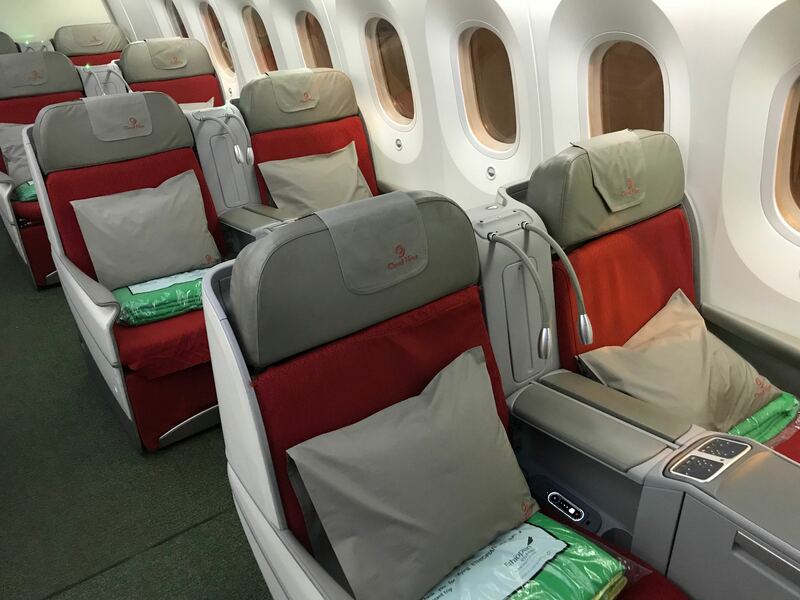 It flies a Boeing 787-800 four times a week to Addis Ababa, the capital of Ethiopia, with an intermediate technical stop which was, until June, in Hong Kong (HKG) and since then, in Seoul Incheon (ICN). Ashenafi Yirga, Area Manager Japan of Ethiopian Airlines. Kristof Descotes : Ethopian’s services to Asia were considerably changed in June. Among those changes, the Tokyo Narita route, served previously through Hong Kong, now stops in Incheon. What is the main reason for that change? 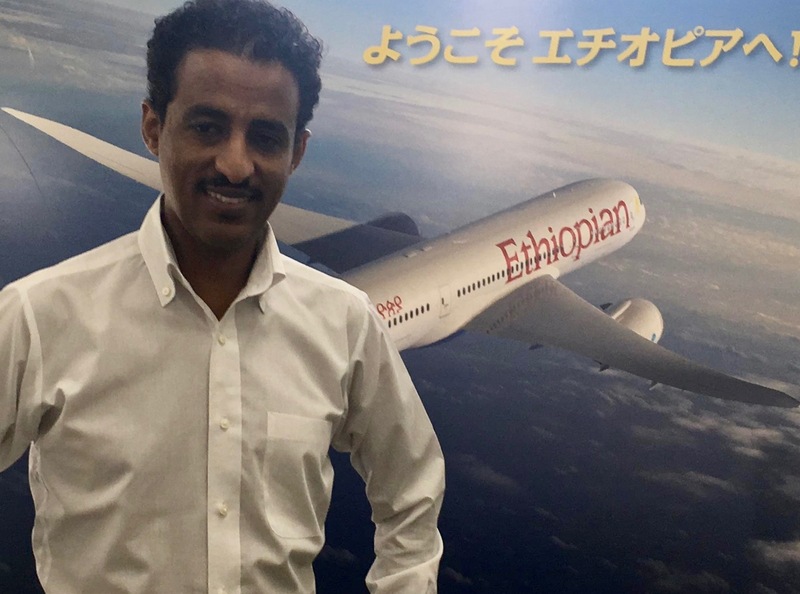 Ashenafi Yirga : When we started our services to Japan, since it was a first for Ethiopian Airlines, we decided to try to tie this service with the Hong Kong one. But the market has developed since and it reached a stage where the increasing demand on both Hong Kong and Tokyo was too high for the capacity we were offering. There was a need for extended frequency and Seoul represented a perfect fit to replace Hong Kong. Since June we have been testing it and the service seems to work out perfectly for both destinations. K.D. : The Tokyo-Seoul flight is commercialized as a 5th freedom route, with a very attractive schedule (Departure from Incheon 17:30, arrival at Narita 2030, departure from Narita 21:10, arrival at Incheon 23:50) for leisure travelers. Does Ethiopian Airlines aim to compete with the other airlines operating this route? A.Y. : Actually, no. This is not our main market. Our main target is the long haul — connecting Japan to Africa, and beyond to South America. We have a high demand as Addis Ababa is a perfect location to connect the Far East and Africa, South America. But in order to be able to develop that market fully, we also need regional presence. Since our flight couldn’t fly direct from Addis Ababa to Tokyo, there is a mandatory stop on the way — and commercializing this regional sector as a fifth freedom sector enables us to shed more light on our airline and services. K.D. : What are the other main connecting destinations you sell out of Narita? A.Y. : In Africa, of course, there is the ethnic market, mainly to Lagos (Nigeria), Accra (Ghana). For leisure, the main destinations are Kilimandjaro —the most popular—, Madagascar, Kenya (Nairobi and Mombasa), and a few other destinations, South Africa, the Comoros. K.D. : Can you say more about Ethiopian’s passenger experience and how it differs from the other airlines of the region? A.Y. : On the Tokyo-Seoul flight, we are using Boeing 787s. The experience passengers will get on this route will be among the best. It is also a different experience that what you will find in the region. It is an African airline, with its own unique culture, so we bring that into the competition. K.D. : Addis Ababa is a well situated hub to connect sub-saharan, eastern and southern Africa with the Far East- but so are Dubai, Abu Dhabi and Doha. How does Ethiopian work on making Addis Ababa more attractive and competitive and take market shares away from the ME3? A.Y. : Location definitely has its own advantage — Addis Ababa is located conveniently and gives us competitive advantage. We have also built a core strategy, based on building infrastructure at Addis Ababa. Indeed, the airport is currently being expanded, the first phase will be ready by the end of 2018, which will represent a big plus for us. We are also counting on human capital — we believe that authentic African hospitality will factor in as a major advantage to make transfers at Addis Ababa airport smooth and enjoyable for passengers, compared to hubs in the Middle East. K.D. : Let’s talk about a very important feature, the wifi service. 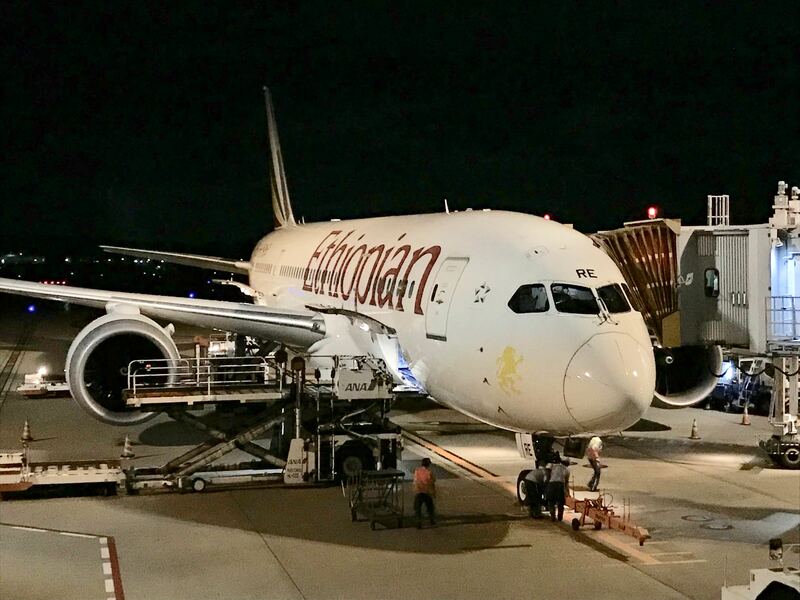 What’s Ethiopian’s strategy when it comes to onboard connectivity? A.Y. : Currently we do not have wifi, but the work is in progress. We might have it in the near future, as Ethiopian already plans to introduce wifi. We currently focus on the quality of our Inflight Entertainment system, with various choices of music and movies. K.D. : In conclusion, can you talk about the main areas of development Ethiopian will be working on in the future, in terms of network, comfort, strategy? A.Y. : As it is now, we have a very young fleet, with an average of 5 years, which is a very attractive factor in the industry. On top of that, we have 65 new aircraft on order, among which 15 A350-900, 29 B737 MAX, and of course some more B787. We are evaluating ordering more aircraft. Furthermore, we have a lot of initiatives to enhance customer service. Indeed, we are working very hard to improve services, and develop a more personal approach to service. In order to do that, we have implemented personal training programs for our flight attendants and frontline staff at Addis Ababa. In terms of network, we are expanding our map every year. In 2018 alone, we added 8 new destinations. A similar expansion is expected in the years to come. Our strategy is fast sustainable growth, meaning that we will continue working on expanding our connexions very quickly. In the Far East, and particularly related to our Japan service, we are looking to transform our current 4 weekly operation into a daily flight for the Tokyo 2020 Olympic Games.